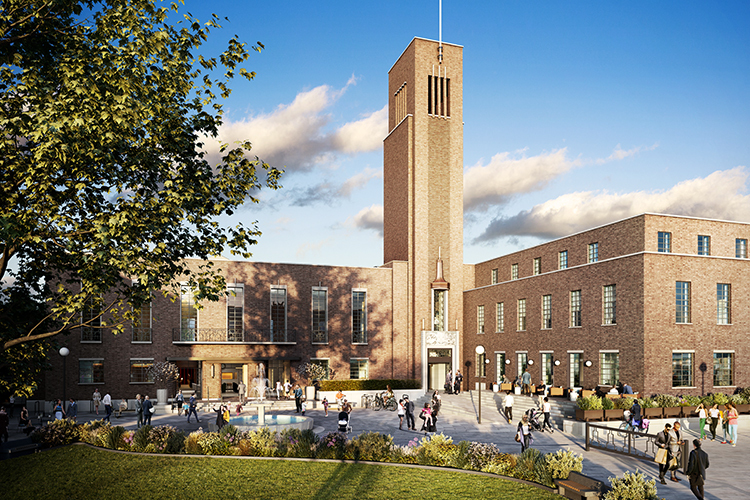 Town Hall Square will be the heart of the Crouch End community and this is no different today, as greenery, outdoor seating and a selection of cafés and restaurants bring locals together throughout the year. In line with the wider restoration of the Town Hall, the square has been rejuvenated to celebrate such original features as the distinctive fountain and the period street lighting. The central green space is still home to the existing shady mature trees and lawn garden, but integrated seating now borders the area and soft planting brings bursts of colour. 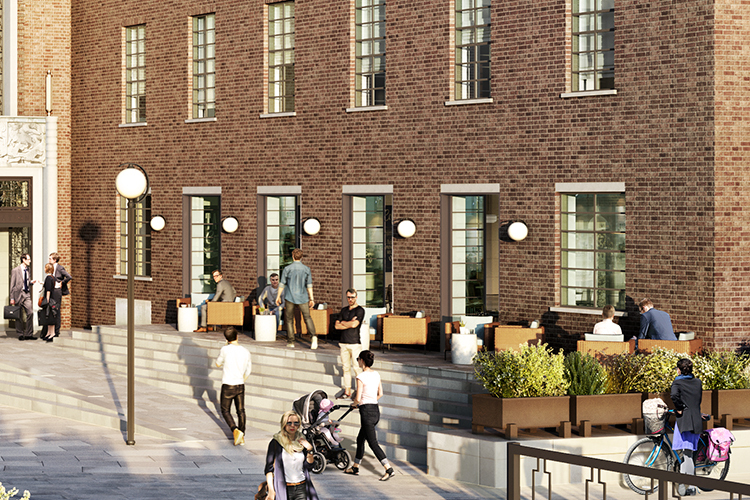 Lining the square, cafés and restaurants serve al fresco diners as seating spills outside, and local traders and stall owners set up shop on market day, creating a vibrant, inclusive space for generations to come.